What are the best ways to save money for a house? The great misconception with saving money in a household is that it requires a complete reinvention of the monthly expenses and the family budget. In reality, a few small changes can work together to make a big difference. Below are two strategies to saving money every month towards buying a home. Just about everyone has a passion of some kind. It is partly the responsible of the individual to turn that passion into a living, but that often starts small. To save up for a home, small new directions can make all the difference. Try to get a part-time job in a new field. For one, this will help pad up some additional income. Furthermore, it may breathe some fresh life into a lifestyle and situation. That part-time job brings new possibilities, such as meeting new people, working under a likable new boss, and just redirecting a passion. Carpenters can work at Home Depot or art enthusiasts can work at a craft shop. That could b e just the thing to pad out finances on a practical level, but also infuse some excitement into a routine. Anyone looking to save money for a house has to make drastic changes in their life, but it does not have to start that way. List every single expense from the most expensive to the least expensive. Try to make an effort to drop one out of five of those expenses. Every household has a few things that can go entirely. If that is not the case, there may be payments that can be rolled back. For example, the family can switch from Bell Canada to MTS (no offense, Bell Canada). The former is a particular expensive service while the latter is a nice budget phone company. There will probably be a drop in quality, but it comes back to doing what is necessary. Arguably every budget can be cut somewhere. Try to save money for a house by boosting pay in small ways and reducing costs in equally small ways. It does not have to be incredibly dramatic. The two forces working together can boost that monthly income substantially. Also, keep in mind that it does not have to reinvent the wheel of the entire household. A culmination of many small things (cheaper cell phone bill, a drop of Netflix, no more morning coffee) will be enough to make a difference at the end of every month. 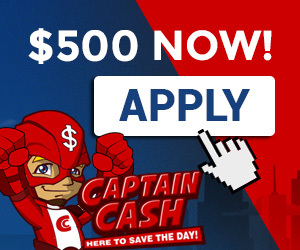 Loans through CaptainCash in Canada could open the door for new possibilities.